Step 1: Ensure we deliver to your area. Step 2: Select your mulch or soil product. Not sure? View our products. Step 3: Tell us how much you need. Select…5 cu. yd.6 cu. yd.7 cu. yd.8 cu. yd.9 cu. yd.10 cu. yd.11 cu. yd.12 cu. yd.13 cu. yd.14 cu. yd.15 cu. yd.16 cu. yd.17 cu. yd.18 cu. yd.19 cu. yd.20 cu. yd. Need help? Try our mulch calculator. Step 4: Would you like installation? Would you like your mulch or soil to be professionally installed? Step 5: Review your order. Step 6: Provide delivery and payment information. We’ll contact you to set up a delivery time. We will call you for your credit card number, rather than have you enter your credit card information online. 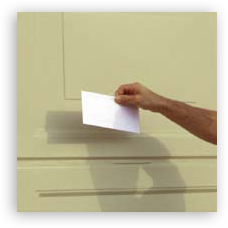 If paying with a check, please remember to place it in an envelope and attach it to your garage door. 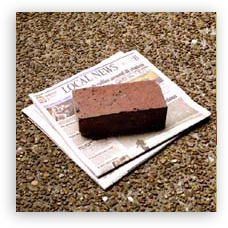 Please place a brick on top of a newspaper to mark the spot where your mulch will be placed.